I started to use my Intuitive powers at age 12 while still young and innocent. My Mentor was a Texan palm reader, we learned to do alot of things by just doing them, without knowing even a name for them. She taught me early not to cross the line between white and black, or good and bad. Once she taught me the basics it grew from there. This was about as formal as it got in 1972, the non-believers were quick to put us down as nuts, and maybe we are. There is a definate native influence in all the modalities I practice, and there always has been. 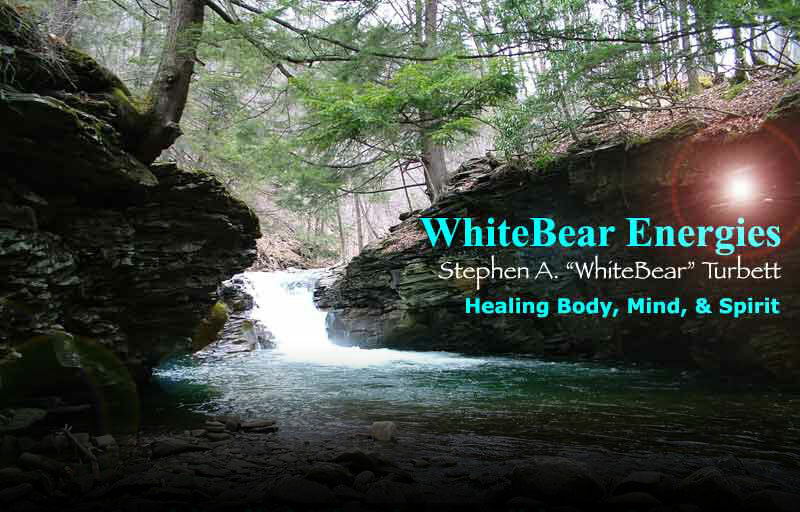 I received my native name in December of 1988 after completing my vision quest. Being a seer of aura's I have assisted in teaching Aural Intuitive Healing with a well known Healer in Washington DC. I have dedicated my life to Massage Therapy in full after working in the modern medical world for the previous 25 years and not really agreeing with a lot of the ways the practices treated their patients. For the past ten years my wife has done quite a bit of research, using me to channel her information, I learned a lot! I attended a local Massage Therapy Program (references upon request) after 25 years in the Optical industry and being let go for being a male in a female world, by a Doctor that really wasn't that good. Well all things happen for a reason and here I am. I'm finally doing what I'm intended to do, and the ground work started 34 years ago, in the height of hurricane Agnes. 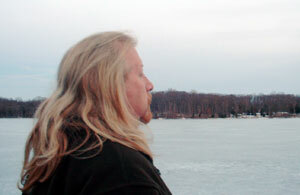 WhiteBear overlooking Pinchot Lake, Winter 2004.